The best deals in this category happen to be older devices - flagships, phablets and minis - and a couple of out-of-the-box offerings. The new flagships, phablets and minis are in the next price segment but these get a big enough discount to make you question yourself whether you want to be part of the specs race or not. Note that all phones in this category should have LTE connectivity and we won't mention it explicitly. We'll admonish the few that don't. The ZTE Grand Memo almost made it to the previous chapter, it's a matter of less than €10. It has a 5.7" screen and a powerful Snapdragon 800 chipset (at this price point!) with 2GB RAM, plus a 13MP / 1080p camera. There are downsides though. For some reason it runs Android 4.1 Jelly Bean. Also, the screen has only 720p resolution - 258ppi isn't bad but at this screen size 1080p would have been noticeably better. The chipset has been downclocked so the quad-core Krait 400 processor runs at 1.7GHz but it should still blow all the Snapdragon 400s out of the water. 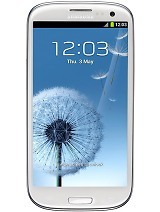 The Samsung Galaxy S3 Neo keeps the 2012 Samsung flagship alive with slightly different hardware. You still get a 4.8" 720p Super AMOLED screen and an 8MP/1080p camera, putting it in competition with the Moto G 4G and Xperia SP. That said it doesn't have LTE connectivity but dual-SIM instead. It's powered by a quad-core Cortex-A7 processor with 1.5GB RAM and runs Android 4.3 Jelly Bean. It's a bit of a compromise but the Xperia SP and the LTE version of the Moto G don't have dual-SIM options and the Super AMOLED screen tops their cheaper LCDs. Beware of the outdated looks though. The HTC Desire 516 dual sim didn't make the cut but the HTC Desire 616 dual sim is worth the extra cash. It has a 5" 720p screen and is powered by a rare octa-core Cortex-A7 processor. It has an 8MP/1080p camera and a certain HTC charm. The octa-core CPU is choked by just 1GB RAM though and the 2,000mAh battery doesn't last as long as we would have liked. 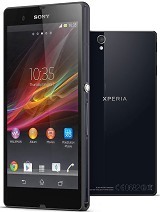 In what could be the phablet deal of the year we found the Sony Xperia Z Ultra at little over €200. It has an expansive 6.4" 1080p screen and is stunningly thin - just 6.5mm thin! And it's IP58-certified so it can be used in the pool. The phablet is powered by a Snapdragon 800 chipset with 2GB RAM and runs Android 4.4 KitKat - either the custom Sony version or the Google Play Edition. It has an 8MP/1080p camera though strangely, there is no LED flash. It's a large device but if you're okay with that (e.g. speaking rarely or with a wireless headset) it's a proper flagship at a killer price. Here's an out of the box suggestion - the Samsung Galaxy S4 zoom. It's a Galaxy S4 mini merged with a point-and-shoot camera. The headlining feature is a 16MP camera with 10x optical zoom and optical stabilization plus xenon flash. It records 1080p video and has a camera ring for some manual tuning. It is thick and heavy and the dual-core Cortex-A9 processor is no speed demon. The 4.3" qHD Super AMOLED is better than what you get from point-and-shoot cameras though and it runs Android 4.4 KitKat. Even though any Smart camera would upload your photos to Facebook, the Galaxy S4 zoom would handle much more - it can work with just about any social network or messenger services, not to mention it's a proper phone as well. The regular Samsung Galaxy S4 mini is a nice mini if you don't expect too much of the screen. We'd recommend going for the Black Edition version, which improves the looks with a Note 3-like faux leather back. It's a tiny bit more expensive than the regular edition but is well worth it. The 4.3" qHD screen isn't the sharpest but it's a Super AMOLED unit and it is very competitive compared to the LCDs in this class. It's powered by an overclocked Snapdragon 400 chipset and runs Android 4.4 KitKat. It has an 8MP/1080p camera. The Galaxy S4 mini comes either in LTE or dual-SIM options (the Black Edition is LTE only). The phone weighs just 107g, perfect for those not enamored with huge smartphones. The HTC One mini is a touch more expensive but the aluminum unibody feels more premium than even certain flagships. Its 4.3" screen is sharper than the Samsung's (720p) and it's a high quality Super LCD2 unit. The phone also boasts front-facing stereo-speakers. The chipset is a bit slower than the S4 mini (lower clockspeed) and the storage is non-expandable (you get just 16GB). Also the 4MP UltraPixel camera while being good on its own, is no match for 13MP cameras by competing manufacturers. A 2013 flagship can be had quite cheaply these days - the compact (for its screen size) Sony Xperia ZL has a 5" 1080p display and a Snapdragon S4 Pro chipset (with quad-core Krait processor). It runs Android 4.4 KitKat and boasts a 13MP/1080p camera. It's not water-resistant like the Xperia Z but it does have an IR blaster for what that's worth. 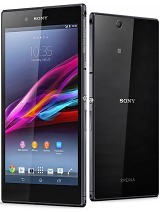 The Xperia ZL is a bit of a downgrade compared to the Z Ultra but it's noticeably more compact. 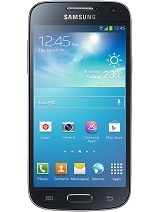 It's almost the same size as the 4.6" Xperia SP. The Sony Xperia Z is a touch more expensive than the ZL and not as compact but it is IP57-certified so it isn't afraid of water. It also drops the IR blaster but other than that it has essentially the same hardware and software. Try to weigh how much that IP57 is worth though, compactness and a few euro less shouldn't be underestimated. The Asus Padfone mini tackles the Galaxy S4 mini and One mini with a 4.3" qHD IPS screen and a quad-core Cortex-A7 processor. It's a dual-SIM phone (which lacks LTE) and runs Android 4.3 Jelly Bean. The most important aspect, however, is that it comes with a tablet dock - the Padfone Station features a 7" IPS screen with 1,280 x 800 resolution and an extra 2,200mAh battery. The two together costs only slightly more than the two minis but you also get a tablet screen for your money. There is only one caveat - the tablet and the phone can't be used simultaneously, you can only use either the phone or the tablet as the tablet slacks brains of its own and uses the ones inside the phone. 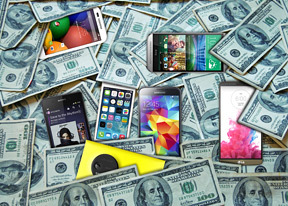 Another 2013 big shot adds to the phablet suggestions in this class. The LG Optimus G Pro boasts a 5.5" 1080p screen and is powered by a Snapdragon 600 chipset. It runs Android 4.4 KitKat and has a 13MP camera with 1080p video capture. It's more expensive than the Xperia Z Ultra and the hardware isn't really enough to justify the price premium. However with a screen almost an inch smaller, it's a noticeably smaller device - we're only listing it here for those who can't imagine handling a 6.4" phablet but still want a big screen.